That impersonal word “infrastructure” harbors many practical implications for our economy and way of life here in Michigan. It concerns how we make a living, the safety of the roads and bridges we drive over and the quality of the water we drink. In the past year we were reminded regularly of the impact that infrastructure has on our daily lives. Big stories included the continuing resolution of the Flint water crisis, new reports on contamination of drinking water through chemicals used by industry and in firefighting and the oil and gas pipelines, including those under the Straits of Mackinac, that course through our state. As we embark on another new year we should briefly review some key infrastructure issues facing our state. All Michigan residents want something to be done about our state’s crumbling roads and bridges. A recent high-tech study conducted by Lyft Level 5 named Michigan the state with the nation’s worst roadways. The stakes are huge. Poor roadways cost us in excess vehicle repairs and maintenance, as well adding to accident risk. 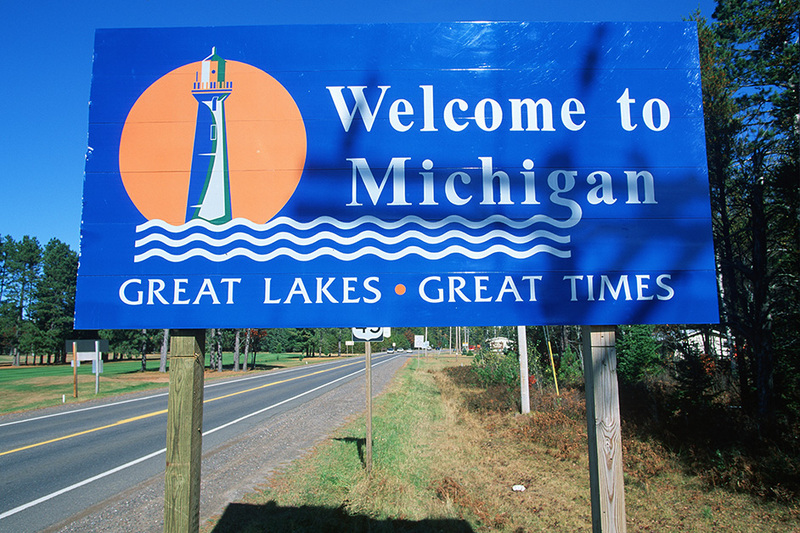 Our state and national economies are also at risk, as a whopping 38 percent of the half-trillion dollars in annual trade between the U.S. and Canada flows through Michigan. With improved, modern roads, each driver could easily save $100-$200 annually on direct vehicle costs. Moreover, a $1.6 billion investment in state highways and bridge infrastructure annually would create or sustain 18,000 jobs, driving $1.5 billion annually in real personal income. Throughout the state, our highways continue to deteriorate, with only about one-third estimated by MDOT to have a reasonable remaining service life. Remember the recent emergency repairs on Interstate 75? A similar concern about declining conditions applies to county roads and bridges, which provide access to our state parks, coastlines and other recreation areas. These roads and bridges support tourism, which comprises roughly one-third of our state GDP, largely stemming from water-related activities. With underground infrastructure that has largely surpassed its useful life, we can expect to see even more disastrous effects in the form of sinkholes, unsafe drinking water, sewerage overflows, corroded pipes and water main breaks. Overall, aging infrastructure costs millions of dollars in damage to public and private property and is harmful to the well-being of all. The nation’s spotlight has already shined unflatteringly on Michigan’s deteriorating underground water delivery pipes, often the cause of increased lead levels in drinking water. Contamination also comes in many other forms, including agriculture runoff and man-made chemicals found leaching into groundwater. Michigan took a nation-leading stance on lead and copper with the June 2018 revision of its Lead and Copper Rule making us the only state to improve on Environmental Protection Agency standards. However, the lame-duck Legislature passed and Gov. Rick Snyder signed into law a bill that restricts state agencies from setting more stringent environmental standards than what the federal government already has in place. While many aspects of infrastructure assessment, maintenance and construction rely on state level authority and resources, local knowledge and advocacy is essential. We must not lurch from crisis to crisis, whether it’s a water main break, a pothole that swallows up a car, or the discovery of contaminants in drinking water. Instead, our communities need to stay on top of their infrastructure conditions and needs, developing management plans that achieve optimum cost and performance across an asset lifecycle. State and local government should look at new and innovative ways to achieve better outcomes, improve the lives of residents and support business attraction. Informing residents and business owners about infrastructure conditions and proposed improvements will ensure they stay in the know and can serve as advocates for necessary upgrades and expenditures. We must assign appropriate community resources to infrastructure, just as we would with other public safety services like police, fire and EMS or our schools and libraries. Our health, economy and enjoyment rely on our infrastructure. What can we do to ensure its future safety and reliability? A great deal if we work together to make sure that what is sometimes out of sight is never out of mind.